William Mansfield Healey was born in Massachusetts in the 1840s to Samuel & Mary Thayer (Mansfield) Healy. In 1861 Healey enlisted in the Army of the North and attained the rank of Colonel before being sidelined in 1863. Healey attended engineering school in France and following apprenticeships at a number of New York coachbuilders, he became associated with the celebrated New York firm of Loos & Williams, which was founded in 1849 as Williams & Dingel. 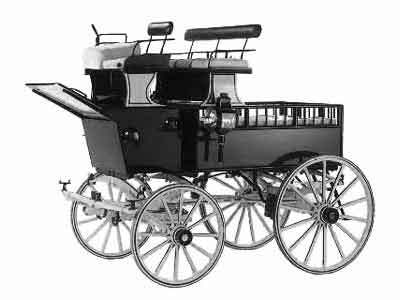 At New York’s 1850 American Institute Fair the firm was awarded a Gold Medal for their carriage display. About 1860 C. Loos bought out the interest of Dingel, and the firm became known as Loos & Williams. The firm operated from a large factory at 223-225 West 96th St. and this is where Colonel Healey became involved in the business of carriage building. Loos and Williams parted company in 1881, and Colonel Healey joined Williams in the new firm of Healey, Williams & Co. The firm maintained a repository at 1658 Broadway (between 51st and 52nd Sts) and built a new 6-story factory on West 43rd St.
“The new factory of Messrs. Healey, Williams & Co., on West Forty‑third‑St., New‑York, the characteristic features of which are indicated in the accompanying pen sketches, commends itself as one of the most modern and convenient in its arrangements, and includes features which are likely to be quite new to many of our readers. “This is a representative city factory of large dimensions, in which special attention has been given to economizing ground‑space, and gaining the maximum degree of light. We beg, however, to suggest that any of our readers who contemplate building a small factory, or one to be located in a village where ground space is of secondary consequence, will not for these reasons consider our description of this factory irrelevant to their needs; for the general principles involved in the construction of modern American carriage factories are substantially the same in all cases, whether the factory be large or small, metropolitan or suburban, including the following as leading requisites, namely: (1) arrangement of the different mechanical departments in such a manner that there shall be economy of time and labor in passing carriages through the works; (2) suitable stairways and elevators; (3) ample provisions against fire; (4) the admission of all possible daylight, and its introduction at the points where it is most needed, especially over the anvils of the blacksmiths, whose work demands good light quite as much as that of other mechanics, but whose wants in this respect are too seldom respected; (5) the most perfect possible arrangement for accommodating the painters and varnishers, including a location exempt from dust, jar, smoke and interruption by callers, suitable light, heat and ventilation, and provisions to exclude dust and flies; and (6) an ample and attractive show‑room, in which fine vehicles, as an article of luxury, may be displayed to the best possible advantage. “All the above conditions have evidently been duly weighed and attended to by the designers of this six‑story brick building, completed in April last, which was planned and supervised in every detail by Mr. Healey, of the firm, and which includes the latest and most approved machinery and labor‑saving appliances of every kind. The consideration of the details of such a city factory cannot but prove more instructive than that of numerous smaller or suburban shops, as it naturally embraces all the requisites of the latter, besides many others of less or greater consequence, which depend upon the limitations of confined area and interruption of light caused by adjacent buildings. “The plot of ground which the builders had at their disposal in this instance, measured 100 feet front by 115 feet 5 inches deep, surrounded on three sides by buildings. It was requisite, therefore, to depend for light on windows front and rear; and, owing to the high price of real estate and the growing requisites of the business, it was deemed advisable to occupy the entire ground space. “The first point to which we desire to call attention is the admirable manner in which the space was utilized without prejudice to the question of light. “The building is divided at the center by a heavy fire‑wall, with two twelve‑foot openings on each floor, fitted with heavy iron doors. By closing these doors complete separation of the two halves of the building may be effected, making each as distinct as if it were under a separate roof; and the proprietors have made it an imperative rule that all these fire‑doors shall be closed every night. The engine, boilers, elevator, and all power machinery are confined to the Eastern division of the building, thus largely reducing the danger of loss in case of fire. “A steam elevator, 14 x 7 3/4 feet, with a lifting capacity of 5,000 lbs., runs from the basement to the roof. An attachment is added so that it can be worked by hand in case of accident or when the steam is off. This attachment was devised by Mr. Healey, and is very simple, consisting of a spurred wheel affixed to the end of the direct working shaft, and operated by an endless chain belt and double cranks. It can be attached or detached in a very few minutes, and is both simple and effective. So far as we are aware, this is the first arrangement of the kind that has ever been used in connection with a power elevator, and it will doubtless prove very handy in emergencies. “There are two stairways, one of which runs up the face of the elevator shaft, and thus economizes floor space; the second is located against the west wall. These two stairways, in addition to two iron fire‑escapes on the rear exterior wall, insure ample means of egress in case of fire. “A brick chute, built in the central wall of the building, supplemented by an iron door on each floor, furnishes convenient means of disposing of shavings, rubbish and sweepings, which are thus easily conveyed to the basement, and each day fed to the boilers. “The provisions against fire include a large iron water‑tank, located just under the roof, which is supplied by a force‑pump from the engine‑room, and leads water to every story, together with the Harden hand‑grenades (glass balls filled with chemicals), which are placed within convenient reach of the workmen, and numerous iron water‑buckets. Running water is found on every floor, and water‑closets and urinals on each alternate floor. “We will now briefly describe each separate story, together with such special machinery and labor‑saving devices as seem most likely to interest our readers. “The basement is 13 feet in height, with excellent light throughout, introduced from bulkhead windows in front, a glass dome at the rear, and light‑shafts at the sides. Reference to the front elevation, Fig, 1, will show the manner in which light is introduced from above, all along the front of the basement; while Fig. 2 shows that at the rear, where the iron‑work is forged, direct daylight from a glass dome, 20 x 90 feet, is introduced to every blacksmith's forge and anvil and every fitter's bench. “The floors of the basement are made perfectly water‑tight, by 5 inches of concrete, covered by 2 inches of Portland cement; while steam coils insure warmth and dryness, and two shafts, containing six windows on each floor, furnish further light and ventilation from the two sides. “Two steel boilers, of 50 horse‑power each, together with the coal and oil vaults, are all located outside the building and under the sidewalk, thus economizing ground space in the basement, and largely avoiding dust and danger from fire. “The engine is a 50 horse‑power prize engine, bought at the last American Institute Fair, made by the Lambertville Engine and Machine Works, of Lambertville, New Jersey. It is simple, compact, supplied with a patent automatic cut‑off, and can be worked from 1 to 50 horse‑power as may be desired, thus economizing steam. This engine is located under the driveway, in close proximity to the boilers. “The smith‑shop will accommodate 18 forges, which are blown by steam. Those now in use are of iron, and made after a special pattern designed by Mr. Williams, of the firm. The distinguishing characteristics of the design, are as follows; each one is complete in itself, including the fire bed, coal and water boxes and smoke bonnet, and it is portable. Special attention was paid to the flues, which are 12 x 14 inches, carefully lined up on the inside, So that a perfect draught is obtained, and little or no smoke enters the room. “A gas tire‑heater is to be used. A lead bath had been thought of for this purpose, but, after careful investigation, the idea was relinquished on the ground of expense in daily heating it. With a large and uniform number of tires to he heated daily, the firm think the lead bath would prove both effective and economical; but the gas heater has the special advantage of being always ready for immediate use, while all expense attending that use ceases the moment the work is completed. “A clever device for saving labor in drilling tires, forms a noteworthy feature of this department. The wheel is suspended, and made to revolve in the course of the operation of drilling, thus avoiding the laborious operation of lifting the wheel on and off the supporting arms, as is necessary with other drills. This was devised by Mr. Healey. The above, together with other power drills, emery wheels, lathes, etc., constitute the machinery of the smith‑shop. “The ground floor is mainly devoted to the office, stock‑room and carriage wareroom. All the front windows on this floor are of double‑pane plate glass, as shown in Fig. 1. “Near the entrance is a Buffalo Scale Co. scale, with a capacity of five tons, which is utilized for weighing not only the carriages constructed, but all coal and materials bought by weight. Adjoining this is the washing‑platform, which is made with double flooring, seamed and calked. All the floors in the building are of Georgia pine, laid transversely, with tarred paper between the two. “The stock‑rooms, 12 ½ x 60 feet, is conveniently fitted up with shelving and tables, and in this is kept all the small stock. Speaking tubes connect the office with each mechanical department in the works, and there is also telephone connection by private wire with the firm's repository, at Nos. 1476 and 1478 Broadway, near the corner of 42nd‑street. “The wareroom occupies one‑half of this floor. It is finished with Georgia pine, oiled and shellaced, giving a plain but cleanly appearance, and one appropriate to the business. The shades are of Holland, sage colored, and suspended on automatic spring rollers. “The carriage entrance, shown at about the center of Fig. 1, is provided with a single door, 11 feet wide by 12 feet high, and weighing 900 lbs., which is suspended by balance weights on pulleys; and it can be raised as easily as are ordinary windows, and on the same principle. This is a great convenience in the ease of so large an opening, besides affording economy of space; and it is the first instance, we believe, in which such an arrangement has been applied to the door of a carriage factory. 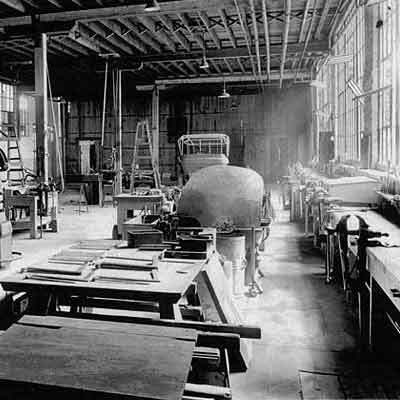 “The second floor is divided into a trimming and a finishing department, and includes few noteworthy features beyond convenient arrangement of the benches and the usual working appliances. “Carriages for the repair department are unhung and stripped on this second floor, which contains one hundred and twenty separate compartments in which are placed the cushions, carpets and movable articles belonging to each vehicle, and numbered according to that corresponding with the vehicle to which they belong. This system not only economizes time and prevents mistakes, but is an actual necessity in a business of this kind and size, where from three to four hundred second‑hand vehicles are unhung each year. “The body, gear and wheel‑makers occupy the third floor, which is amply supplied with convenient machinery, including a band‑saw jointer, splitting‑saw, and several small machines for shaping and dressing. On this floor, also, is the drafting room, which is 20 x 25 feet, and provided with double‑faced swinging blackboards, shelving, etc. “This third floor also contains an iron hot‑box for drying joints before gluing, a steam glue‑pot, and a gas panel‑bender. “The fourth floor is mainly devoted to seasoning and storing timber and working the same, and contains a capacious steam dry‑room, a hub-boxing machine, the largest cylinder planer yet built, and a large stock of timber in various stages of seasoning. “The dry‑room, 14 x 20 feet, is furnished with the latest conveniences for seasoning timber, including the coil system of steam heating, a cold air pipe near the floor, and a 6‑inch exit pipe. “The fifth floor is mainly devoted to the painting of gears, and also contains the color‑mixing room and stock‑room for colors. “This upper floor is entirely devoted to the painting and finishing of bodies, and is particularly noteworthy for its convenient arrangement and perfection of details. “The body varnish‑room, 25 feet square, is partitioned off from the body paint‑room, and has six windows, four of which have a northern exposure and two an easterly exposure, affording excellent light. The gear varnish‑room is of similar size, and has a northern and western exposure. Both these varnish‑rooms are provided with fibrous ventilating screens, furnished by the Protective Ventilator Co., of New York city; and rubber weather‑strips are introduced around the windows and doors to prevent dust and draughts of air. “The floors of both are laid with Wootton's concrete, and there are drains at the corners connecting with the main sewer, to prevent the accumulation of water. “The walls and ceiling are plastered, and have a hard finish. There are no cupboards in either room, nor in fact anything to accumulate dirt or dust. The clothing of the workmen is contained in closets outside. Leading off from the body varnish‑room is a dark room, 12 x 20 feet. Bodies are passed into the former direct from the hands of the rubber; and, when finished, these are immediately rolled into the dark room to dry. The latter has rolling doors leading into the main floor, and from this dark room the varnished work passes on to the finishing‑room and to a lifting arrangement designed for the application of wheels, which is an ingenious contrivance, by which one than man easily elevate any carriage body, while the wheels are brought from the opposite room and placed under the body. “A new and novel feature of this factory, showing further attention to economy of space, is the roof, which is partly floored over, and directly reached by the elevator, so that the largest carriage can be raised to the roof and the same utilized for drying purposes, especially in the painting processes. “The history of the business concern occupying this model factory well deserves extended notice; but in this connection we will only say that the house was established in 1849 by Mr. William Williams, who is probably the oldest active carriage‑builder now doing business in New York City. He possesses a gold medal which was awarded to his work by the American Institute Fair, of this city, as early as 1850, and he has held an Honored place among New York's leading carriage‑builders ever since that time. The specialty of the house is medium and heavy work of the finest grades, mostly to order, including chiefly gentlemen's driving phaetons, victories, cabriolets, coupes, broughams, landaus, coaches, etc. Their repair business is also large, and they enjoy the reputation of having no superiors in this line of work. For convenience and economy, their new work and jobbing are divided into two distinct departments, with different corps of workmen, in all shops excepting the painting. “Their repository on Broadway is one of the most attractive in this country. In outward appearance it resembles a bank. It is 60 feet front by 110 feet deep, four stories high, and accommodates about one hundred and forty vehicles. The interior finish is plain and neat, the walls being painted in neutral tints, such as pearl grays, the object being to avoid reflection of colors on the varnished surfaces. The same idea is carried to the ceilings and the window shades, which are also in gray. Utility, rather than show, has evidently been the aim of the firm in both factory and repository. The repository office bears the same marks of simplicity in its finish, but includes all the best modern appointments." “In the United States section of the Exposition in Paris, but two carriage‑builders exhibited a variety of styles, the largest being that of Messrs. Healey & Co., of New York, who had on display seven carriages and a sleigh, all of which attracted considerable attention, particularly the road wagons with stiff poles; a noteworthy fact is that this house made the largest display, all of the largest houses of Paris showing but five styles each. Their exhibit was as follows: two‑passenger sleigh, Sedan brougham, one‑man road wagon, two‑passenger road wagon, leather top landau, surrey phaeton, cabriolet, and a C‑spring Victoria. “The sleigh attracted much attention, being extremely well finished. The upper side quarters had well designed scrolls; wire screens were on the front of the runners, and the footman's saddle pleased the foreign builders. “The brougham is original, its form and details differing entirely front the others on exhibition. The coupe pillar has one width from the top to within 6 inches of the bottom door line, ending with a well formed scroll at the front. The deep door frame of 28 inches indicates deeper panels for the next season than on the regular styles of broughams, the latter being made but 24 to 25 inches in depth. The side quarters are 14 inches deep, while the most, previously given, has been but 12 ½ inches. The door windows are very small, and an entire change from the present fashion. The shape of the boot is almost the same as the Barker style. The suspension as usual, with the exception of full elliptic springs back and wooden pump‑handles. “The road wagons were of the latest style, and suspended on side‑bars; both were constructed alike, excepting that the one carrying but one person was made very light and neat, while the two‑passenger one had the ordinary dimensions. These vehicles attracted more attention from visitors than all the mail coaches; the fine workmanship and rare finish of all the details were greatly admired, and gave the impression to all that for light work the United States could not be excelled, and had reached a standard of excellence. “A very pleasing design was shown in the landau with leather top, an original American style, made but for few years past, only one of the sane pattern being shown, in the French section. 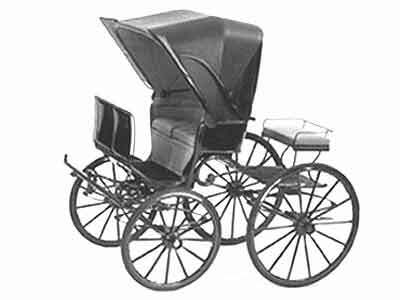 “The sides of the body of the surrey phaeton were molded, and partly rounded, and it had stick seats with center rail, both rails being bent. The top rails were trimmed with a very light roll, sidebar suspension and regular cross spring, two perches and half fifth wheel. “The cabriolet differs slightly from the regular style, having a full panel, divided with a horizontal molding, and the upper panel molded with four moldings. There was an entire change in the style of the boot from those shown in the French section, it being of the antique pattern. The suspension front is with full elliptic springs, and back elliptic scroll springs, the lower front end fastened to the body. The fenders front and back showed a change from those in fashion at the present time. “The Victoria, suspended on eight springs with rumble, is of the latest style, and only differed from those in the French section in minor details." Justus Vinton Locke (1864-1925) was one of the many future automotive body builders who would apprentice in the shops of Healey. After graduating with an engineering degree from Hamilton College in Clinton, New York, Locke was apprenticed at Healy & Co. eventually becoming Demarest & Company’s New York City branch’s superintendent after which he founded Locke & Co in 1903. The first automobile body known to have been built by Healey was an enclosed coupe built for a front-wheel-drive electric prototype designed by W.H. Douglas of Belleville, New Jersey. For the next ten years, Healey built a small number of front-wheel-drive electric cars based on the Douglas electric. Total production is unknown, but the numbers were small as only 20 Healey automobiles were listed in 1914’s "Who’s Who In the Automobile”, and all of them in New York City. Among the famous owners of Healey electrics were John D. Rockefeller Sr., and Mrs. George S. Bowdoin, whose husband was the former director of New York’s Guaranty Trust Co, and a partner in J.P. Morgan. After Inglis M. Uppercu purchased the firm in 1923, he utilized old pictures of Healey front-wheel-drive electric coaches in his advertising. Healey was one of five metropolitan New York firms who built bodies for the luxurious Simplex & Crane Simplex automobiles of 1907-1919. 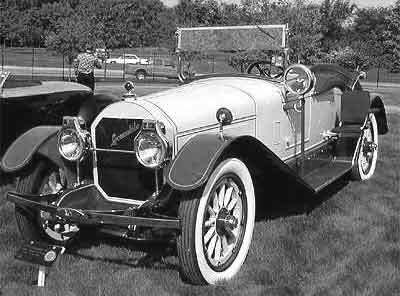 They also built bodies for Christie, Cadillac, Falcon, Locomobile, Packard, Singer and Stevens-Duryea. "Brig.-general. N. G. N. Y. 1897-1899; president of Healey & Co., Director of Hudson Trust Co., Hudson Safe Deposit Co., Chevalier Legion d’Honneur of France; member Sons of Revolution, G. A. R., N. Y. Historical Society, New England Society, New York Chamber of Commerce. Clubs: Army and Navy, Union League." Early on Healey developed a good working relationship with Inglis M. Uppercu, the New York City Cadillac distributor. Uppercu had purchased the New York Cadillac agency in 1908, and by the middle teens, his Detroit Cadillac Motor Car Co., was Healey’s largest customer. J.R. MacLachlan was manager of Uppercu’s custom body department and both he and Grover C. Parvis, who held the same position with New York City’s Packard distributor, often designed the bodies they ordered. For example, MacLachan is credited as the designer of a Cadillac Type 61 woodie built by Healey in 1921. Many Healey-built Cadillacs were town cars and limousines, many of which featured Rolls-Royce style radiators designed to disguise the chassis true identity. “The Locomobile Company shows a gun-boat roadster, body by Healey, finished in aluminum wither green stripes and green upholstery. It had low, flat lines, broad at the cowl and tapering to the rear seat, a four passenger. The windshield is twelve inches high." Healey bodies were well-known for their elegant and unusual interiors, and they were proponents of the beamed ceiling, which was simply a roof whose framework was left exposed. The beams were sometimes left in their natural finish, but more often than not, it was stained or painted to match the car’s upholstery, and was sometimes wrapped in upholstery thereby creating an unusual three-dimensional effect. At the 1921 New York Salon, Healey showed a Stevens-Duryea whose rear quarter panels included inset diamond-shaped mirrors over the vanity cases. At the same show, they also exhibited a center-door sedan on a Falcon chassis. The Falcon was a short-lived high-class light car designed and built by the Moller Motor Company of Lewistown, Pennsylvania, a firm unrelated to the M.P. Moller firm of Hagerstown, Maryland. In 1920, Walter M. Murphy, the Pasadena, California coachbuilder, raided Healey & Co., hiring away George R. Fredericks, Healey’s assistant general manager, body engineer Charles Augustus Gerry and a number of the firm’s skilled craftsmen, including Christian (Chris) Bohman who would later found Bohman & Schwartz in the 1930s. The intricate interior paneling and woodwork found in Murphy's town cars and limousines were created by some of the very same craftsmen who had fabricated Healey’s renowned interiors years earlier. 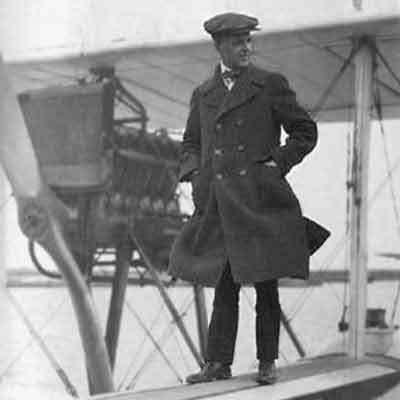 With a proven track record, he bought out the New York City Cadillac dealer in 1908, and reorganized as the Detroit Cadillac Motor Car Co. At the same time Uppercu made an investment in the Boland Aeroplane and Motor Co. of Keyport, New Jersey, eventually becoming its president and chairman when its founder, Frank E. Boland, died in a 1913 aviation accident. 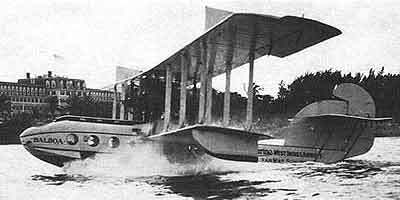 Uppercu reorganized the firm in 1914, renaming it the Aeromarine Plane and Motor Co.
Aeromarine established ticket offices in Cleveland, Detroit, and Miami, and operated air terminals at Key West and New York City, where it was located on the Hudson River adjacent to the Columbia Yacht Club at 82nd Street. 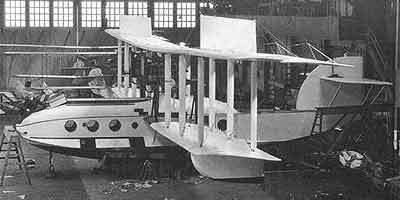 Healey & Co. furnished Aeromarine with bus bodies for the Packard and Cadillac-chassised vehicles that shuttled passengers between the firm’s ticket offices, airfields and mooring berths. 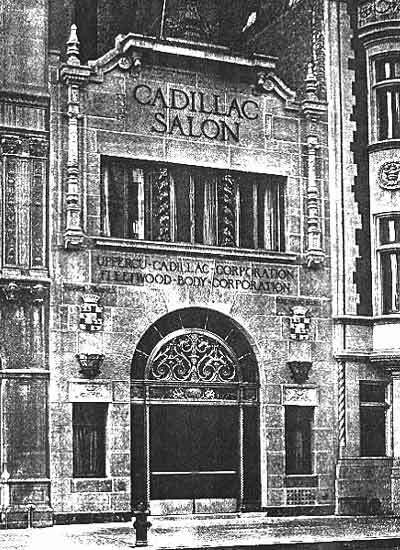 Healey’s last Salon appearance was at the 1923 New York Salon, and soon afterwards Colonel Healey decided to retire from the body building business and sold it to Uppercu, his largest customer. Uppercu relocated Healey’s bus building operations to Aeromarine’s Keyport, New Jersey factory and reorganized the firm in 1924 as the Healey-Aeromarine Bus Co. with headquarters in Nutley, New Jersey. What remained of Healey’s custom automobile body business was integrated into Uppercu’s Detroit Cadillac Motor Car Co. which was reorganized as Uppercu Cadillac Corp in 1925. By that time Uppercu operated two Manhattan dealerships, the first at Broadway and 62nd St. the second at 70 Columbus Ave.
Who's Who in the Automobile, 1914 - J.R. Burton Co. The National Cyclopedia of American Biography - 1950 edition.